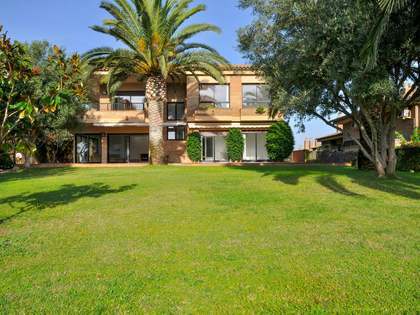 This Mediterranean-style villa enjoys a lovely location in the Tortuga residential area which is 10 minutes on foot from the town of Lloret. There is a pebble beach 20 metres away from the property, which can be reached directly from the plot, and another 100 metres away. 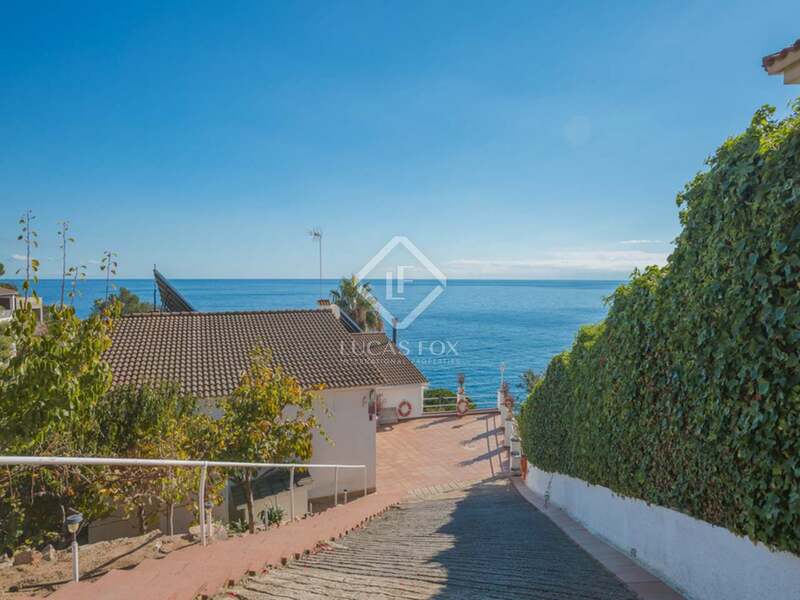 The villa itself enjoys fabulous panoramic sea views and a lovely garden, spread over several levels with a swimming pool that is reached via a stairway or a chair for those with reduced mobility. Inside the property requires some updating. It currently offers 6 bedrooms, 2 of which are on the ground floor, 3 on the first floor and 1 on the lower ground floor with its own bathroom; ideal for staff or guests. Also on the ground floor is a 1-2 car garage, equipped kitchen, a dining room and the living room with a fireplace and great sea views. 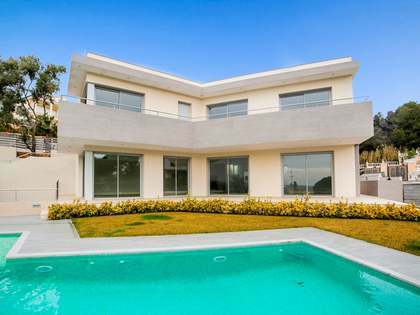 This villa with direct access to the sea has a salt water pool that is heated using solar panels. 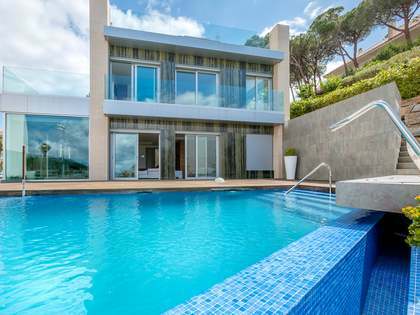 The swimming pool water comes directly from the sea using a pump and the solar heating system means that the pool can be used throughout the year. Montgoda Beach is 500 metres away, while the gorgeous beach known as Cala Canyelles is just 900 metre away, with several gourmet restaurants less than a kilometre away from the property. 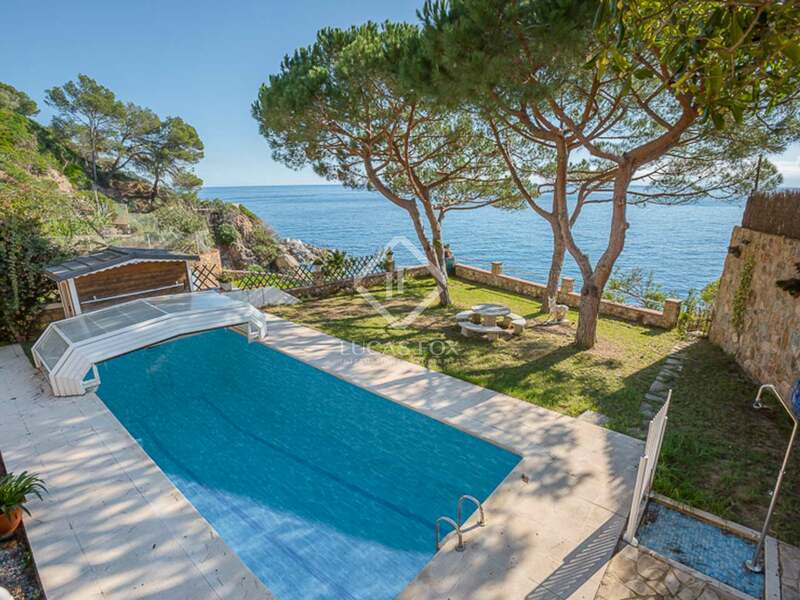 This fabulous villa is located in a very privileged residential area of Lloret de Mar, very close to Playa de la Tortuga and Playa Montgoda, 2 of the best beaches. Lloret town is just 5 minutes away and Tossa de Mar is 1 minute away by car. Barcelona is a 50-minute drive away.